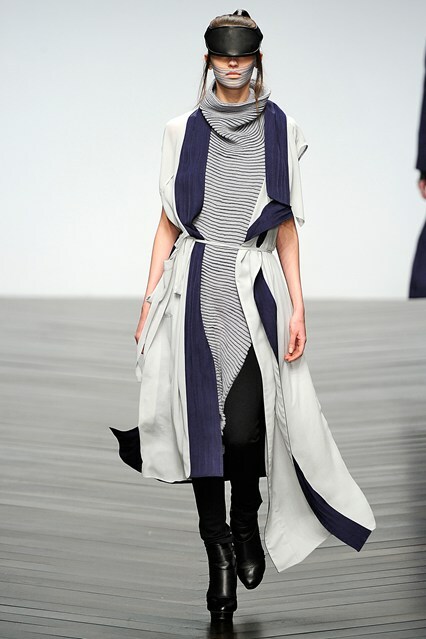 The Central Saint Martins graduate’s collection was a mixture of textures, combined beautifully to create what I would call ‘casual luxe’ looks which are uber stylish and versatile. 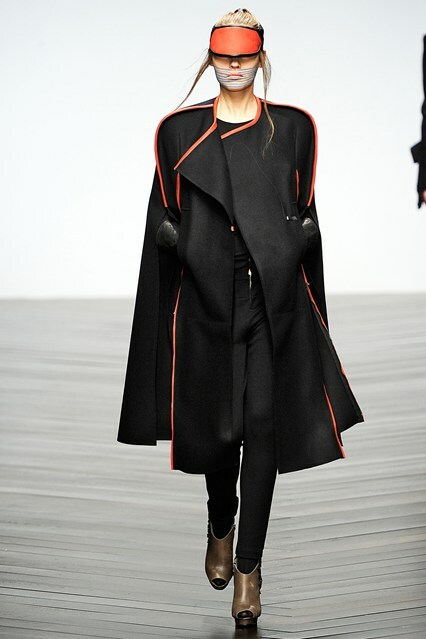 I love the architectural cuts which use clever draping, asymmetry and details such as zips and contrast trims which have become Haizhen’s signature. 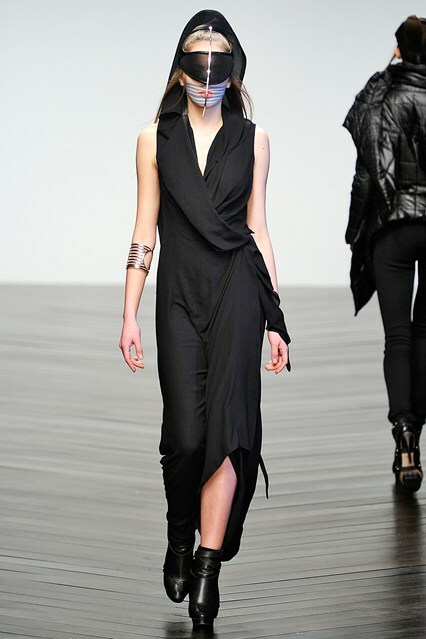 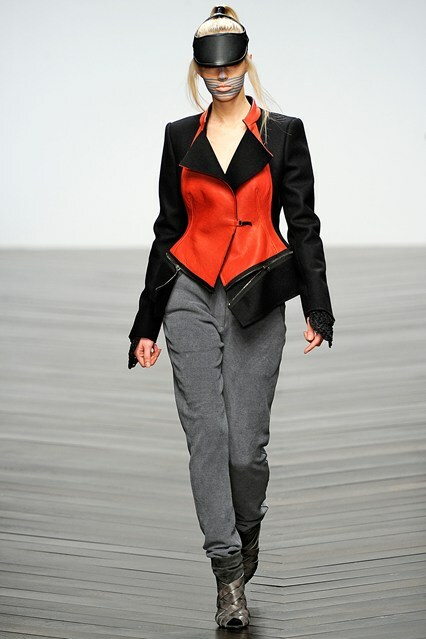 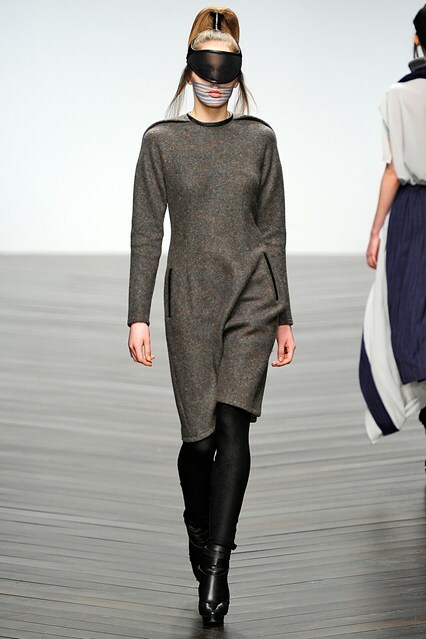 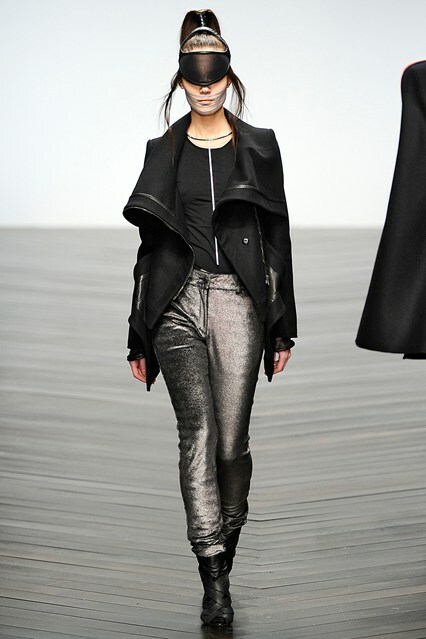 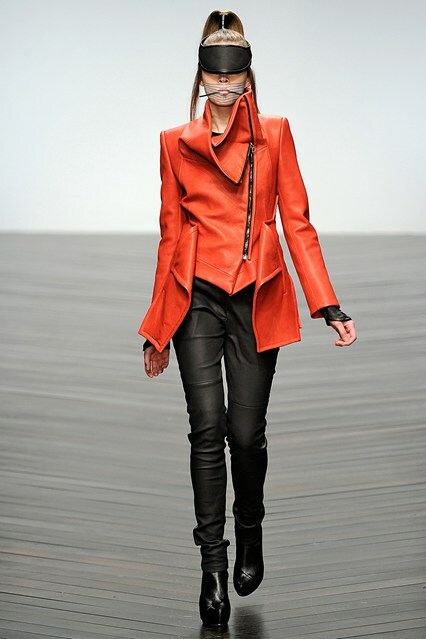 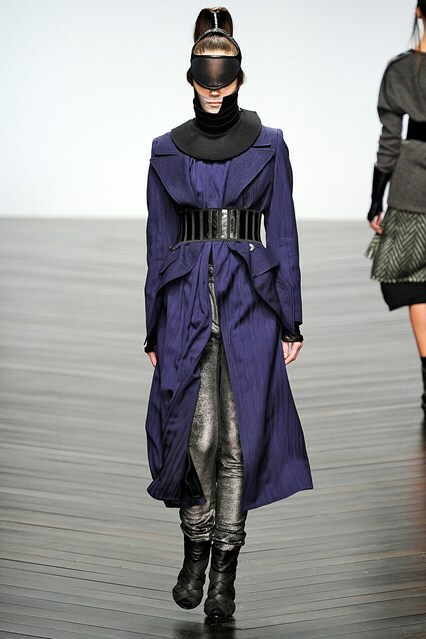 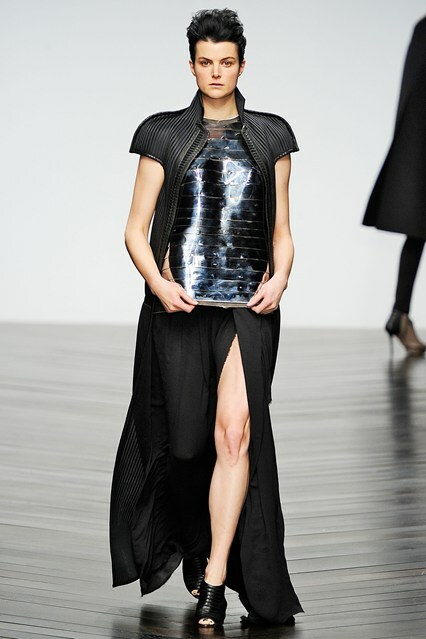 The result is structural tailored looks which are strong and feminine. 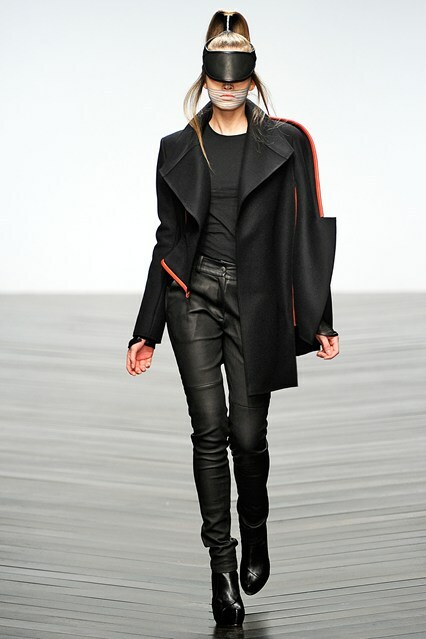 With a dark winter-y palette of black, navy blue, grey and splashes of bright orange the pieces came together in mainly versatile separates which look bold, urban and chic. 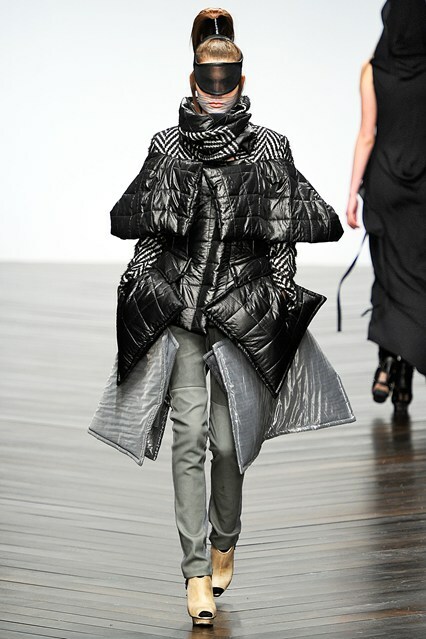 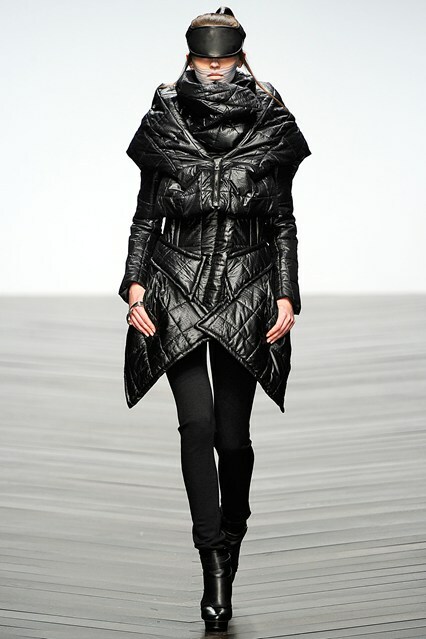 One of my favourite pieces has to be the quilted and wool sleeveless vest which combines comfort and style. 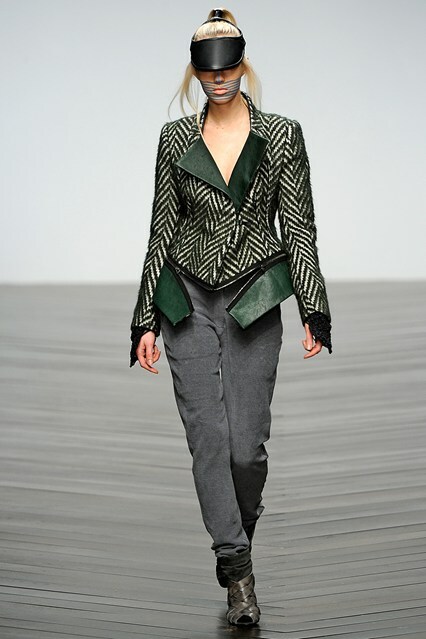 All in all, Haizhen has shown a great skill in creative tailoring – especially with the folding details and multi-faceted dimensions - and an eye for proportions which have just enough edge to be worn over a dress or with a pair of denim. 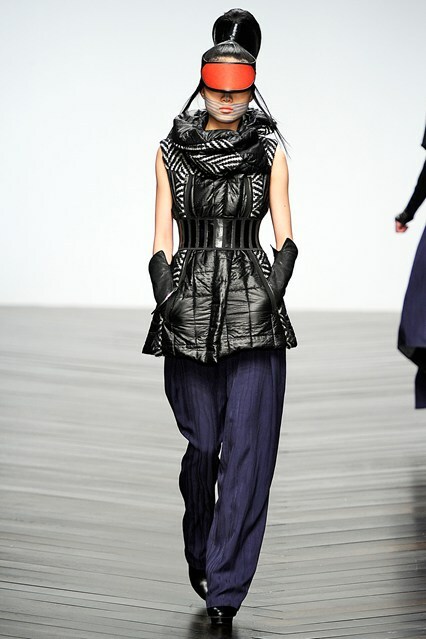 Here are some of the amazing looks which saw out LFW in amazing style.